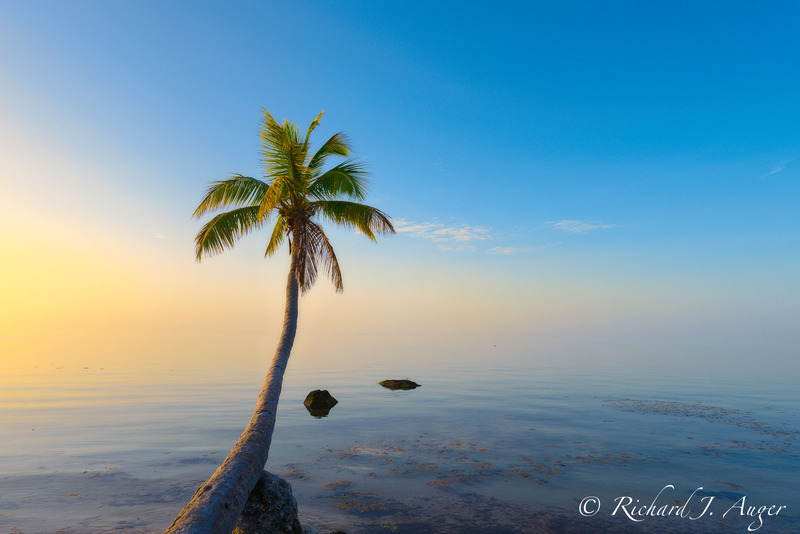 In the peaceful island town of Islamorada, I captured this solo palm tree during a warm nautical sunrise. The Island of Islamorada is located in the middle Florida Keys, where things are a little less chaotic than the tourist-stuffed Key West. I spend most of my summer trips in the Keys between here and Bahia Honda. Growing up in Southeast Florida, I wasn’t aware of how different life was in the rest of the country. My winter weekends were spent scuba diving in Key Largo or deep sea fishing in the Gulf of Mexico. Christmas dinner was held on my uncle’s balcony on Fort Lauderdale Beach, with a brisk temperature of 76 degrees. Water and warmth are at the heart of the Florida Dream. As I exhibit at art shows across Florida, I enjoy meeting people who moved here from all over the country, and all over the world, in pursuit of that dream. This series was inspired by those people.